Shemini Atzeret falls on the 22nd day of Tishrei and in Israel this day is dedicated to the love of god. 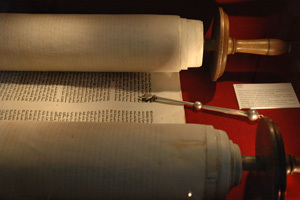 Simchat Torah marks the end of Sukkot celebrating the end of the reading of the Torah. People traditionally celebrate this day with prayers for rain and a good harvest for the coming year. This day occurs after the seventh day of Sukkot. The words Shemini Atzeret means the eighth day referring to the day after the seventh day of Sukkot. This day traditionally involves water and the rainfall for the upcoming year to help have good crops.